(SPOT.ph) Here's the thing: Some people are more sociable than others. Extravertion is something people are born with, yet most of us only learn to develop it later on in life. So lucky you if you consider yourself an extrovert! But for those who aren't quite sure, here are eight factors that will help you determine whether you're actually a social butterfly. You get energized by being around other people. Like a plant soaking up the sun. You’re part of more than one group of friends. You like bouncing from one squad to another, but you always make sure no one feels left out. When you’re upset, you immediately go to your friends for comfort. You find their presence therapeutic. You always find an excuse to talk to strangers. You make it a point to create a connection with someone everywhere you go. You’re exactly the type to make friends with the people you’re sharing a Grab car with. You don’t mind stepping up and taking on a leadership role. And your teammates are glad that you don't. You’re also usually the one initiating group plans and activities. According to your folks, you were a certified bibo kid growing up. You like sharing your thoughts with other people. But try not to share too much. You love doing spontaneous things and enjoy new experiences. You rarely pass up the opportunity to do something fun and exciting. So something like a surprise activity with a brand new friend is definitely up your alley. This March 24, have the chance to do just that by booking a ride with Grab and making a match on the app’s special Tinder feature. 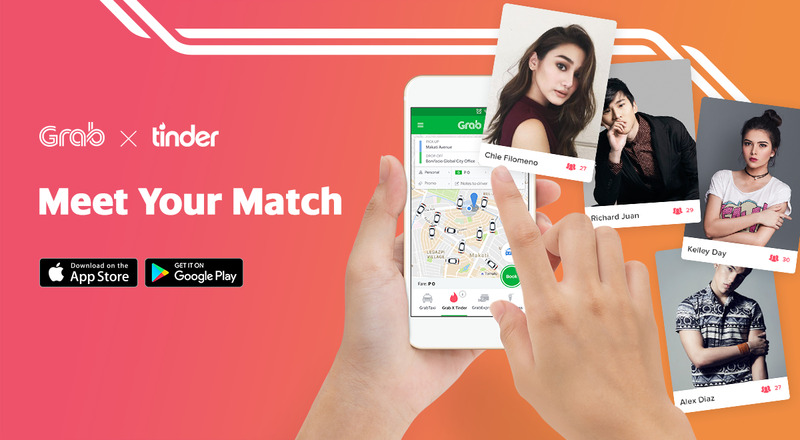 If you’re lucky, you may just end up sharing the car with a famous personality, who you can then get to do something fun with in an event hosted by Grab and Tinder. Don’t miss this chance to meet new people! For more information, go to www.grab.com/ph/grabtinder or follow Grab on Facebook. Tinder users can also go to www.go.tinder.com/grabPH to know more.